If I'd wanted foreplay, I'd have said so. "If I were you, I wouldn't do that." "Had she known that, she wouldn't have gone out with him." "Let's pretend that we were pirates." "I would go, but I'm too tired." "If only I hadn't said that!" These forms are very common, but speakers are not always conscientious about using them correctly: we hear toughs say, "If I was you, I'd keep my mouth shut," and sports commentators claim, "If I'm the coach, I'm happy with the way the game is going." Colloquial speech is most comfortable with constructions employing "would" (the subjunctive form of "will"): "I would do it if I could." The general subjunctive is sometimes called the "past subjunctive" because it builds off past tense forms, but it does not necessarily refer to the past. In fact, "If I were rich..." refers to an undetermined time not in the past - it could be in the present or the future. To talk about an unreal situation in the past, we would have to say, "If I had been rich...."
The General Subjunctive Mood in German (Konjunktiv II). Wenn ich diesen Wagen haben wollte, kaufte ich ihn sofort. If I wanted to have this car, I would buy it immediately. If you could kiss only one person in your life, who would it be?. The irregular weak verbs add an umlaut to the imperfect form: brächte, dächte, hätte, wüsste, although some of them substitute an "-e-" for the "-ä-": brennte, kennte, nennte, rennte, sendete, wendete. Modals also add an umlaut to the imperfect form - if there was one in the infinitive: dürfte, könnte, möchte, müsste. "Sollen" and "wollen," however, do not add an umlaut: sollte, wollte. (Some verbs have retained subjunctive forms that reflect archaic constructions. Thus "helfen" traditionally becomes "hülfe." However, these forms now seem pedantic, and we increasingly find "hälfe." You can click here for a listing of the subjunctive forms of the more common strong verbs). Wenn ich dieses Lied wüsste, sänge ich es. If I knew this song, I would sing it. Wenn es nicht regnete, gingen wir schwimmen. If it weren't raining, we'd go swimming. Ich kaufte das Buch, wenn ich Italienisch lesen könnte. I'd buy the book if I could read Italian. Ich brächte Blumen mit, wenn die Geschäfte nicht zu hätten. I'd take flowers along if the stores weren't closed. Wenn das Wörtchen "wenn" nicht wär', wär' mein Vater Millionär. If it weren't for the little word "if," my father would be a millionaire (~ "If wishes were horses, then beggars could ride."). Wenn ich ein Vöglein wär',/ Und auch zwei Flüglein hätt'/ flöge ich zu dir'. If I were a little bird,/ And had two little wings,/ I'd fly to you. [from a folksong]. Wenn deine Großmutter Räder hätte, wäre sie eine Straßenbahn. If your grandmother had wheels, she'd be a trolleycar [= Yiddish proverb]. If my boyfriend broke as many promises as the chancellor, I'd throw him out. Wenn ich dieses Lied wüsste, würde ich es singen. If I knew this song, I would sing it. Wenn es nicht regnete, würden wir schwimmen gehen. If it weren't raining, we would go swimming. Note that constructions with "würden" resemble the future tense (i.e. "werden" + infinitive), but a future meaning is not necessarily implied. In contrast to the special subjunctive, the general subjunctive has in fact only two tenses - the non-past and the past - but we can construct each of these tenses in several ways. Wenn ich schneller führe, hätte ich bestimmt einen Unfall. Wenn ich schneller führe, würde ich bestimmt einen Unfall haben. If I drove faster, I would surely have an accident. Wenn ich schneller gefahren wäre, hätte ich bestimmt einen Unfall gehabt. Wenn ich schneller gefahren wäre, dann würde ich bestimmt einen Unfall gehabt haben. If I had driven faster, I would surely have had an accident. Wenn ich das damals gewusst hätte, wäre ich jetzt ein reicher Mann. Wenn ich das damals gewusst hätte, würde ich jetzt ein reicher Mann sein. If I had known that then, I would now be a rich man. Wenn ich damals gewusst hätte, was ich jetzt weiß, wäre ich ein reicher Mann. If I had known then what I know now, I would be a rich man. Hätte ich gewusst, wer ihr Vater ist, hätte ich etwas anderes gesagt. Had I known who her father is, I would have said something else. Regnete es, gingen wir nach Hause. Were it to rain, we'd go home. You're afraid of growing old... A TB-patient in the Third World would be delighted by it. Ich hätte gern das große Frühstück. I'd like the large breakfast. Ich möchte einen Döner ohne Soße. I'd like a Döner without sauce. Könnten Sie mir bitte auch etwas Brot geben? Could you please give me some bread, as well? Hätten Sie vielleicht etwas Salz? Would you happen to have some salt? Würden Sie mir bitte Ihren Bleistift leihen? Would you please lend me your pencil? Wie wäre es mit einer Tasse Kaffee? How would a cup of coffee be? Dürfte ich sie bitten, das Fenster aufzumachen? Might I ask you to open the window? Es wäre jetzt Zeit, dass du gingest. It would be time for you to go now. Ich müsste eigentlich jetzt gehen. I really ought to go now. Ich wüsste nicht, was ich dir sagen könnte. I don't know what to tell you. Das dürfte richtig sein. That is probably right. Ich hätte noch einen Wunsch. I have one more request. Sie möchten bitte nach Hause anrufen. Please call home. Jetzt wären wir am Ende. Now we're finished. 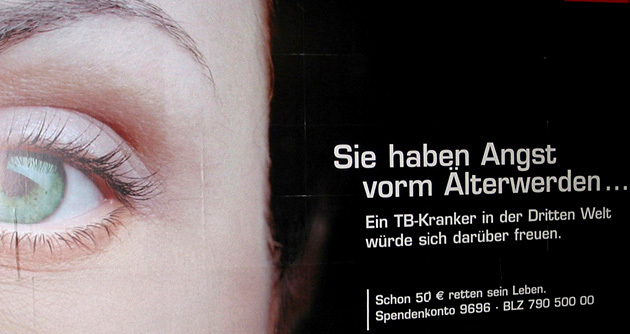 2) "als ob", "als wenn": When "as if" implies an unreal condition, it requires the subjunctive. "als ob" is the most usual form, but "als wenn" is also possible. You can also use "als" with inverted word order. Er tut, als ob er die Antwort wüsste. He acts as if he knew the answer. Sie tun, als ob sie kein Wort verstanden hätten. They act as if they hadn't understood a word. Die Amerikaner sprechen, als ob sie heiße Kartoffeln im Munde hätten. Americans talk as if they had a mouthful of hot potatoes. Er sieht aus, als ob er zu lange in der Sonne gelegen hätte. He looks as if he had been lying in the sun too long. Sie redet, als wenn sie meine beste Freundin wäre. She talks as if she were my best friend. Sie tut, als hätte sie das Pulver erfunden. She acts as if she had invented gunpowder [~ "were a rocket scientist"]. Ich wünschte, ich könnte fliegen. I wish I could fly. Ich wollte, er würde den Mund halten. I wish he'd keep his mouth shut. Das wäre der Wagen für mich! That's the kind of car I'd want! Man müsste jung sein! Oh, to be young! Wenn du nur hier wärest! If only you were here! Wenn ich nur ihren Namen wüsste! If I only knew her name! 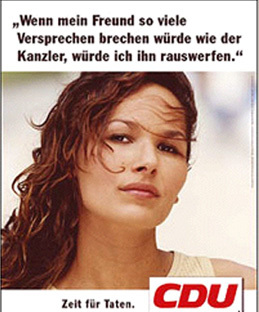 Wenn sie nur anrufen würde! If only she would call! Regnete es nur! If only it would rain! Hätten sie nur die richtige Größe! If only they had the right size! Wann hätte ich so was gesagt? When am I supposed to have said such a thing? Wie sollte er es gefunden haben? How is he supposed to have found it? Nicht dass ich wüsste. Not that I'm aware of. Wir hatten Angst, dass er vor Wut platzen würde. We were afraid he would explode with anger. Er sagt, dass sein Wecker nicht geklingelt hätte. He says that his alarm didn't go off. Sie behauptet, dass sie die ganze Zeit zu Hause gewesen wäre. She claims that she was home the whole time. Der Hund hätte Ihre Arbeit gefressen? [Are you saying that] The dog ate your paper? Er wäre der letzte, den ich um Hilfe bitte würde. He would be the last person I would ask for help. Das Buch is so teuer, wie es sein könnte. The book is as expensive as it could be. Ich habe Angst, dass ich das Spiel verlieren könnte. I'm afraid that I could lose the game. Wo ist einer, der das tun wollte? Where is someone who would want to do that?